Our patient wanted rhinoplasty to remove the bump in her nose, narrow her tip and create a slight upwards rotation, and to have an overall smaller nose. 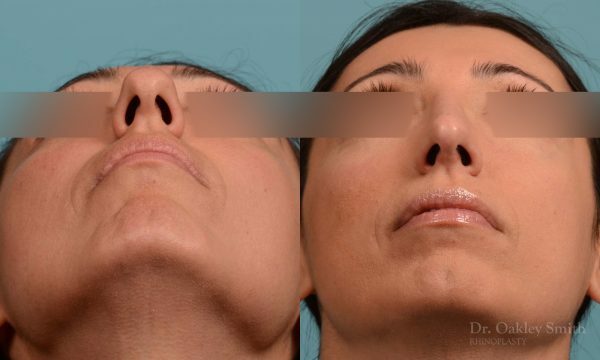 She felt congested when breathing through her nose. During her exam, Dr. Smith was able to determine there were areas of swelling inside the nose which could be made smaller thereby improving her breathing. 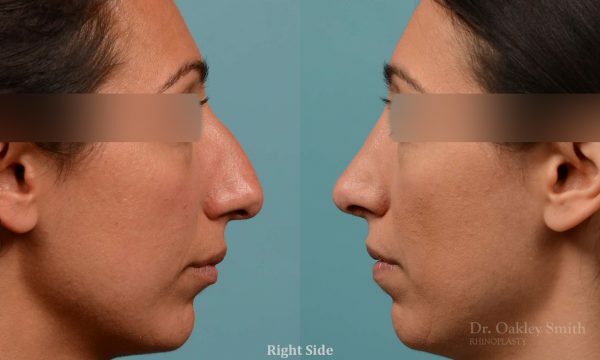 Her nasal anatomy permitted Dr. Smith to reduce her nose by 4 millimeters measured from her tip back towards her face. 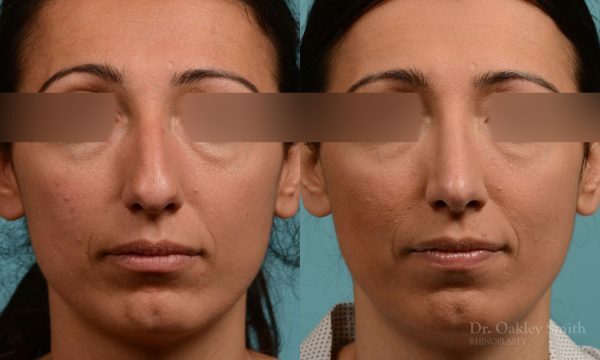 This is a moderate degree of overall reduction in the size of a nose. The other goals of surgery were achieved and overall her surgery was a success. She required a touch up injection of a tissue filler to smooth out a small depression on her bony bridge. 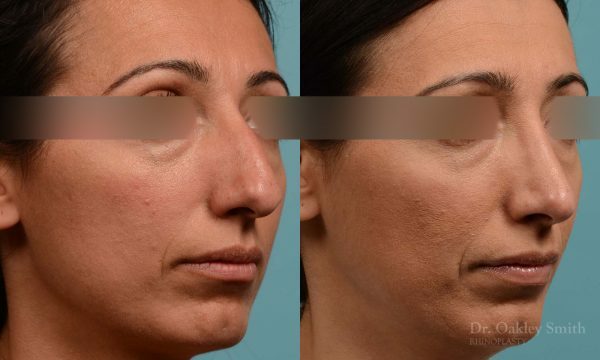 The thinness of her skin caused this irregularity to be visible. 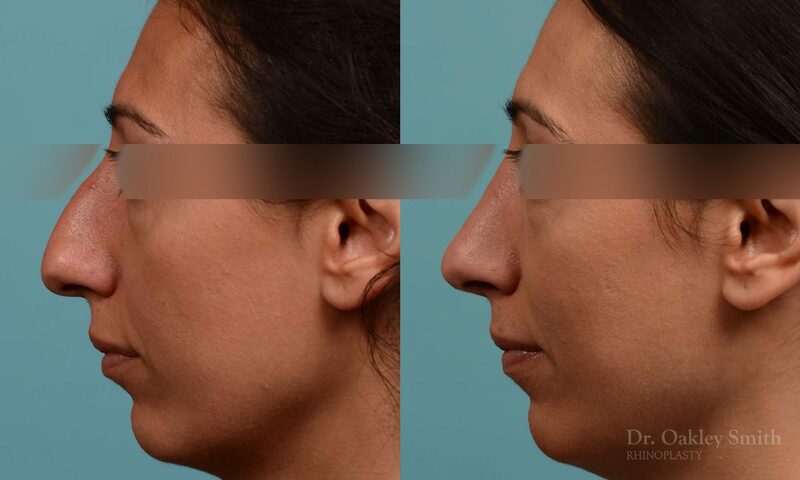 After surgery, the bridge of a nose cannot be smooth like before. 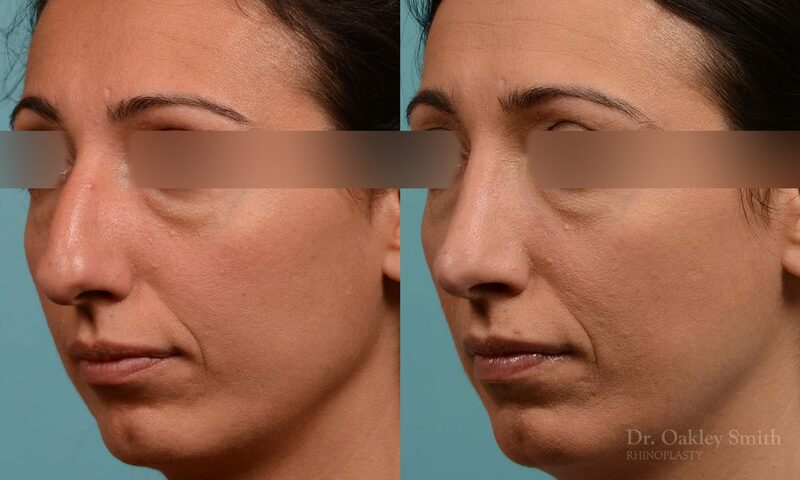 This is an inevitable result of surgery and can become an issue when the nasal skin is thin. 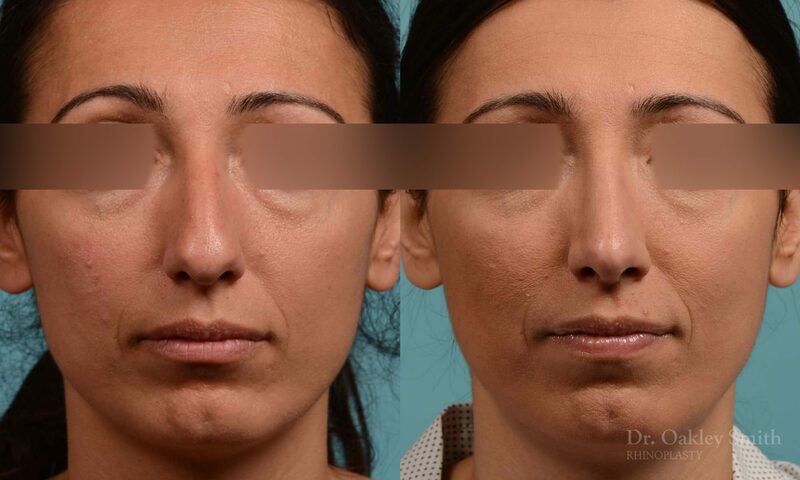 Before and after photos belonging to Dr. Oakley Smith, a notable Facial Reconstructive Surgeon in Toronto, Canada.